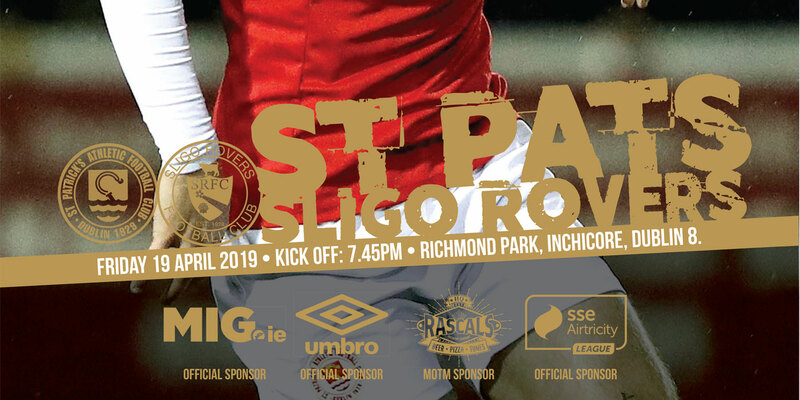 St Patrick's Athletic kept the pressure on Sligo Rovers at the top of the Airtricity League Premier Division table after grinding out a 2-1 win over rivals Shamrock Rovers at a rain-soaked Richmond Park. The hosts stunned the Hoops early on with a Sean O'Connor penalty and an own goal by Colin Hawkins to lead 2-0 after only nine minutes. The reigning champions made a late rally after Gary McCabe pulled one back but were denied by the woodwork in injury time. Rovers started brightly but their hard work was quickly undone after only five minutes when defender Colin Hawkins was adjudged to have handled Sean O'Connor's powerful shot. O'Connor converted after both Hawkins and Stephen O'Donnell were booked for their protestations. Things went from bad to worse for Rovers, and Hawkins in particular, only two minutes later when the big centre half poked into his own net after a fantastic surging run into the visitors' box by Jake Carroll. The first half continued in that frenetic manner with chances at both ends throughout the half. Ronan Finn, Gary McCabe and Ciaran Kilduff all had shots at goal for Rovers - the latter saw his effort cleared of the line before McCabe rifled into the side-netting. But the Saints have looked a more threatening side all season and this game followed that pattern. Christy Fagan spurned a glorious chance to make it 3-0 after super build-up play by Conor Kenna and Ian Bermingham. 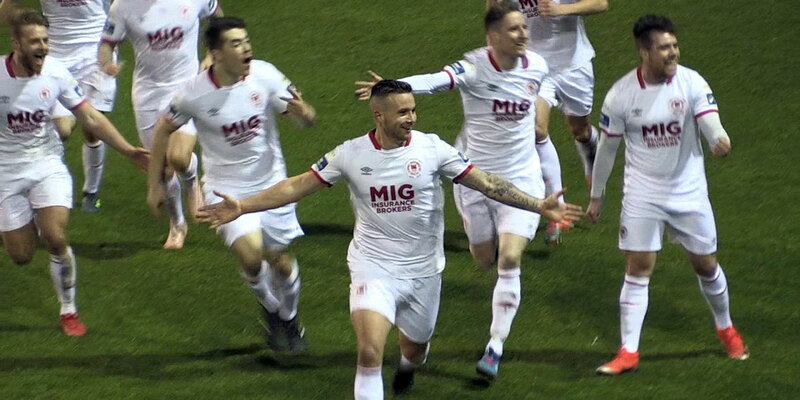 Liam Buckley's men continued to dominate into the second half and up until the very end, never looked too fazed at the back. Jake Kelly threatened early on with a fierce volley before the same man headed narrowly over after Ger O'Brien's cross on the hour mark. 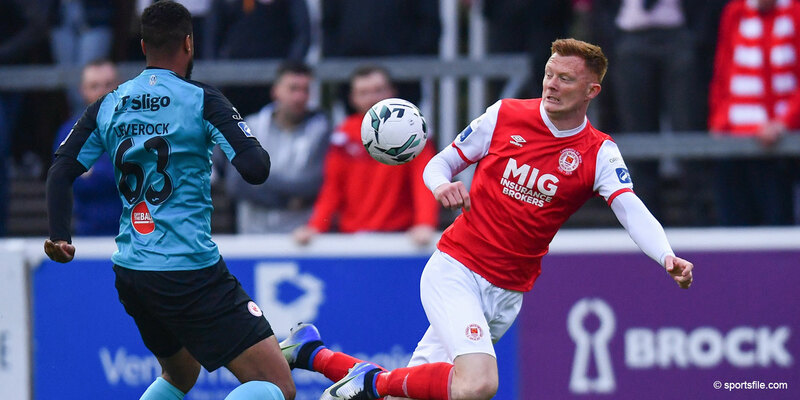 Brian Laws attempted to shake things up with the introduction of Aaron Greene and the net result was a vast improvement in the Rovers' attack. Not long after, Gary McCabe scored a contender for goal of the season with a beautifully curled effort from 30 yards with 13 minutes to play. The goal gave Shamrock Rovers hope and indeed they could have stolen a point had Ciaran Kilduff's injury time header not struck the woodwork.